This is the first of a series of blog posts written by Duke undergraduates. David Frish is a junior and political science major. In honor of Constitution Day, Professor Jean Yarbrough of Bowdoin College spoke to Duke University undergraduates on September 20th and 21st. But for Bowdoin’s Gary M. Pendy Sr. Professor of Social Sciences in Bowdoin’s department of Government and Legal Studies, this visit was more than a Constitution Day talk—it was also a reunion. Almost two decades ago, Professor Yarbrough encountered a particularly bright-eyed and bushy-tailed freshman named Jed Atkins. 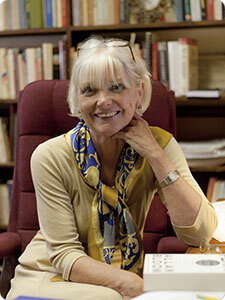 Jed, she explained, had a deeply ingrained passion for the classics coupled with an unmatched work ethic. Skipping over Professor Yarbrough’s freshman seminar, Jed decided to take her upper-level seminar. In the years that followed, Professor Yarbrough became a mentor and friend to Jed as he worked his way through college and earned a prestigious graduate scholarship at Cambridge University. Fifteen years later, Jed (now Professor Atkins) had the pleasure and privilege of introducing Jean to his students. Professor Yarbrough shared this touching story before she began her talk with Professor Atkins’ Visions of Freedom Focus cluster along with the American Experience Focus. The lecture that followed made me consider the parallels between mentors and constitutions—both help those they influence realize and actualize their purpose and plan for life. The role of a constitution is in part to ascribe or highlight a collective purpose. To determine which freedoms should be protected in founding documents, political leaders must determine what is essential to the good, just, virtuous, or pious life. When an adviser pushes her students to create an academic plan for their time in college, she is helping them to create a document that reflects the students’ priorities, aims, and plan for living accordingly. In this sense, Professor Yarbrough is an expert in political and in personal constitutions. For the Focus students, Professor Yarbrough drew parallels in constitutional debates between the Progressive Era and today. President Theodore Roosevelt, she explained, wanted to bring “energy” to the presidency and the federal government. He believed that the federal government, spearheaded by a strong executive, should be active, always working to improve people’s lives and make society more just. Issues ranging from public health to the environment ought to fit under the scope of an expanding federal government, or so Roosevelt and other progressives thought. More conservative figures, Yarbrough explains, wanted energy to rest not with the executive and the federal government, but with communities and the larger population. 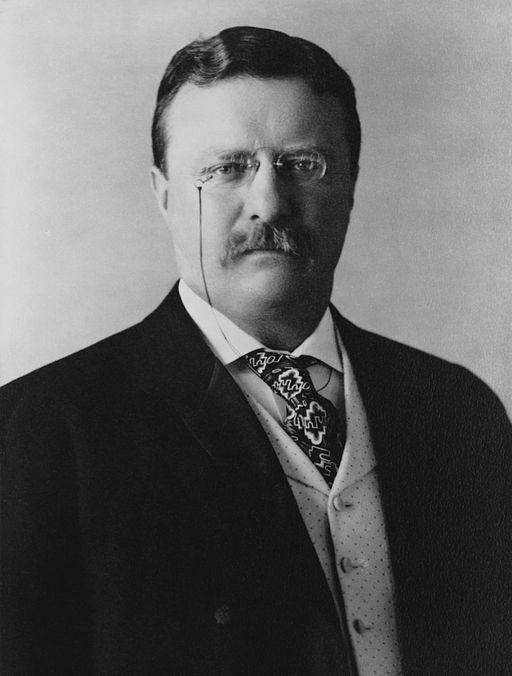 Roosevelt believed that new challenges called for a reinterpretation and repositioning of the constitution whereas his detractors feared powers without limitations. The War on Poverty, War on Crime, and War on Terror are all examples of energetic executives claiming prerogatives for themselves while only nodding to the founders’ instructive words. Professor Yarbrough argued that energy is best directed as she believes the founders intended—through local government and civil society. The morning after Professor Yarbrough’s Focus talk, she attended a brunch hosted by the Visions of Freedom Living Learning Community for a discussion that explored both our own personal paths and plans, as well as our nation’s. After discussing the diminished role of religion in the university and the lives of many students, Professor Yarbrough posited that spiritual needs never go away. Students and societies may reject what they consider to be “dogma,” but they are always drawn to ritual, community, and a shared purpose. Highlighting Duke’s recent ban on disposable plastic and discussing Bowdoin’s students’ conscious attempts to save water by flushing less, Professor Yarbrough pointed to environmentalism as a new spirituality on campus. Dietary restrictions, connection to nature and the sublime, community organizations, and daily sacrifice characterize this replacement. Having a purpose and set of guiding principles, Professor Yarbrough argued, is inevitable. Our challenge lies in choosing the right values and living accordingly.